How are you celebrating the Fourth of July this year? Create your own American Flag and fireworks celebration at home with this star-filled, free printable coloring page. Click on the link above to download the free printable coloring page. 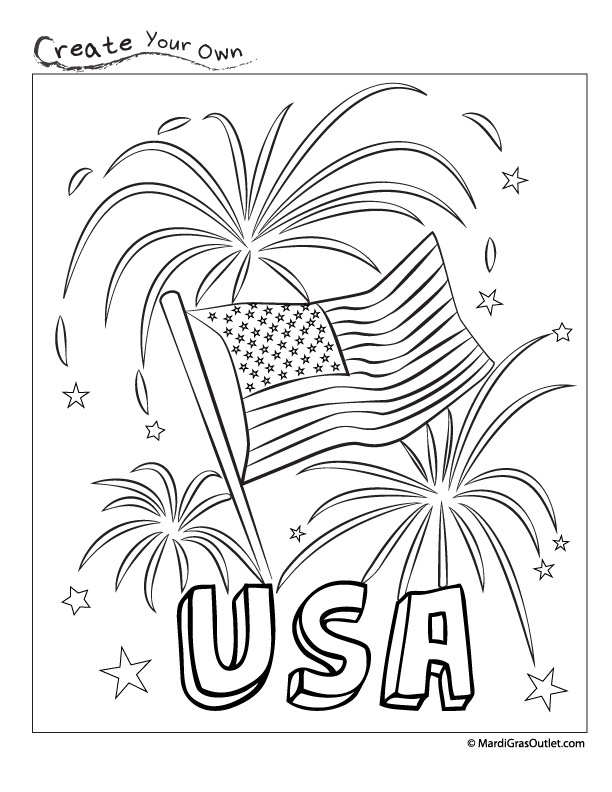 For more free coloring pages and other free printables: FREE PRINTABLE PAGES. Thanks- a great artist designed it for us! Hope all is going well for you- We miss you!